Extended effective range and enhanced terminal performance for your AR/M4 platform or precision bolt action rifle. ASYM PRECISION .223 75 gr. 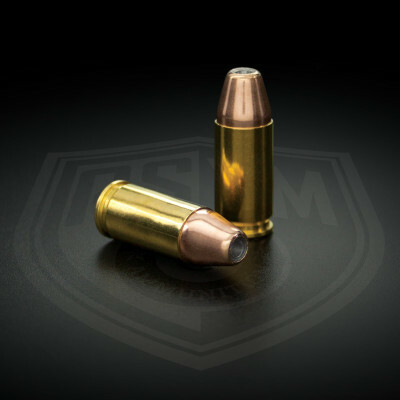 Tactical OTM is a high precision tactical load offering utilizing the Hornady 75 gr. Open Tip Match bullet with a cannelure. It is a top quality load ideal for duty and tactical/defensive use, as well as match and general precision shooting. Enhanced, fight stopping terminal performance. The Hornady 75 gr. bullet is a proven performer. Fragmentation reliably begins in the first 2-3″ of soft tissue penetrated, while total penetration meets the FBI protocol specs. Extended effective range. In match barrels, hits out to 600 yds. and beyond are possible. Match Grade MOA or better accuracy is typical. ASYM PRECISION 75gr. Tactical OTM is loaded in virgin top-quality American Made brass, which has been sorted and prepped for best performance and uniformity. Load specific loading techniques are used, which balance neck tension, crimp and the cannelured bullet for proper function in semi and full auto platforms, as well as bolt actions. A high quality, clean burning powder is used, specially selected for its high velocity potential at safe operating pressures, and relative insensitivity to temperature. Powder charges are extremely consistent. Best quality, Made in USA primers are used. The primers were carefully selected for their ideal cup thickness, sensitivity, uniformity, and brisance. As with ALL ASYM PRECISION Ammunition, every round is chamber checked in a min. spec gauge and hand inspected for flawless performance. Ammunition is subjected to rigorous and frequent testing. In our testing, many 1 in 9″ twist barrels will stabilize this bullet, but we generally recommend a barrel twist of 1 in 8″ or faster with this bullet.